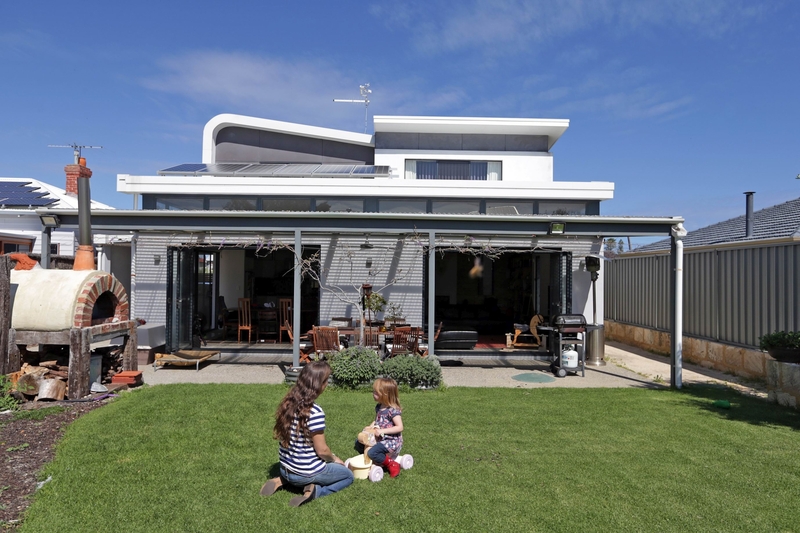 As part of Sustainable House Day, Ms Brazier said she wanted to help others learn about the benefits of renewable energy, recycling and other practices that they could introduce into their homes and lifestyle. She said her home has LED lighting throughout, was self sufficient for water for six months of the year, had a grey water treatment system and was constructed using a solar passive design. ‘We didn’t build a sustainable home with the aim of building a sustainable home, we built a home we could enjoy living in, that exploited the latest technologies and was as off grid as possible,’ she said. ‘Many people don’t consider how their home interacts with their surroundings, we are looking forward to sharing how our surroundings work with our home to make it so liveable. The home will be open on September 14 from 10am to 4pm at 10 MacLaren Street, South Fremantle.